As part of the 2018 CBF of MS Fall Assembly, Claire Holley will be performing at Northminster Baptist Church on Saturday October 13 at 2:00 pm. Everyone is invited. FInd out more about Claire and her music at www.claireholley.com. We are privileged to have Dr. Kevin Cosby, President of Simmons College in Kentucky as our guest speaker and Claire Holley providing us with a concert. WHAT: Disaster Response training for the CBF churches in MS.
WHERE: Northside Baptist Church, Clinton, MS.
Jim Kirkendall, Disaster Response Coordinator, CBF MS. Please invite others who have an interest in ministering through Disaster Response. 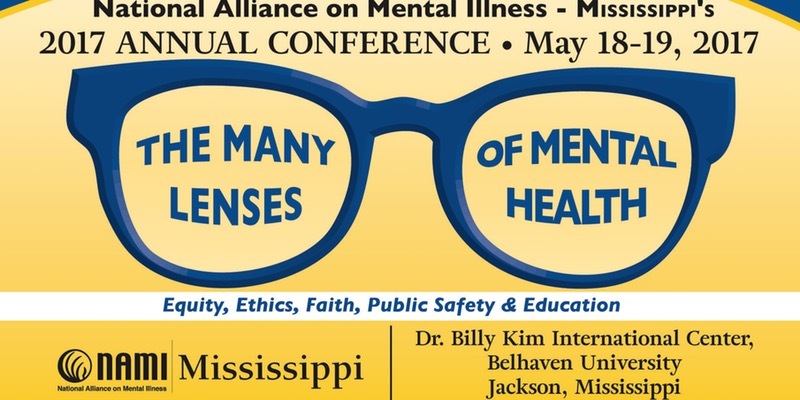 For more information about this conference and tickets to attend, please visit this website. Kate Campbell in Concert at CBF MS Fall Assembly 2016, Northside Baptist Church, 1475 E. Northside Drive, Clinton MS, 39056..
Concert is a free gift to the community from the Cooperative Baptist Fellowship of MS.
For more details and registration for the Fall Assembly 2016, click HERE. The CBF MS Fall Assembly will kick-off on October 21, 6:30 pm, immediately preceding the Kate Campbell Concert at 8 pm. Both of these events are being held at the Northside Baptist Church, 1475 E. Northside Dr., Clinton, MS 39056. At the 6:30 pm start time, there will be a gathering and a meal to begin the annual fellowship meeting of CBF in Mississippi. On Saturday, among other activities, we are pleased to announce that Ruth Perkins Lee and Charlie Johnson will be our featured speakers. Charlie is the executive director of Pastors for Texas Children, an advocacy group for public schools and an MC grad. Ruth is the Director of Ministries for CBF Global and will also be in the pulpit at Northside on Sunday, October 23. For more information about the logistics of the CBF MS Fall Assembly 2016 and to register, click HERE. In 1991, Christ's love compelled a groupof courageous women and men who supported Baptist principles to form the Cooperative Baptist Fellowship. Twenty-five years later, we celebrate this founding and our bright future together. During the week of October 16 to October 23, churches, partners and Cooperative Baptists around the world will celebrate CBF's 25th Anniversary through special worship services and events. You and your church are invited to join us. Download videos, Bible studies, prayers of blessing, a litany of celebration, and information on CBF's 25th Anniversary campaign to help you or your church plan a special service or event. "Christ's love compels us" is our 25th Anniversary theme, taken from 2 Corinthians 5:14, which says: "Christ's love compels us, because we are convinced that one died for all." From our foundations to our future, Christ's love has compelled the Cooperative Baptist Fellowship to live into our vision to be a national and global community bearing witness to the gospel in partnership with Christians across the nation and around the world. Join us as we celebrate our founding and our future! Upcoming webinars for ministers and lay leaders will energize and provide best practices for the CBF Offering for Global Missions (OGM) in local churches. The webinars will share some of the content that Steven Porter, CBF Coordinator of Global Missions, and Martha Perusek, CBF Director of Development, have recently shared in the OGM breakout sessions at the CBF Movement Leadership Team (MLT) meeting. These upcoming webinars will be led by Martha, Mark Wingfield of Wilshire Baptist Church in Dallas and Alice Wright Mull at Living Faith in Kentucky. Mark's and Alice’s approach to delivering this webinar yields very practical ideas for churches concerning missions giving. Mark and Alice are both very passionate about missions giving. Also, CBF field personnel will attend each webinar, which is always a treat and inspiration. For more information about these webinars, please contact Martha Perusek, mperusek@cbf.net, 770-220-1614. Amanda Short, Communications Manager for Passport, Inc., has asked CBFMS to post Passport's summer schedule of events on our website. Passport, Inc., is a "national non-profit student ministry empowering students to encounter Christ, embrace community, and extend grace to the world. The Passport summer camp programs each run six days, with the first camps starting on June 12 and the last camp ending on July 24. For more detailed information about Passport and its programs, please visit their website at www.passportcamps.org. Click photo to see the details. Discover best practices and effective strategies for writing grants for religious organizations at this free seminar. There is no cost and lunch will be provided. Registration begins at 9:00 am and seminars begin at 9:30. What religious organization will you represent at the seminar? Saturday Speaker is Dr. Jason Coker. Jason is currently pastor at Wilton Baptist Church in Wilton Connecticut. Register for one person ($20) or for a family ($35). Fee covers meals, t-shirt and mission supplies. Please bring an item off the list below to assist with Shaw's ministry. Download Full-color PDFs of the Fall Assembly flyer and Info sheet. Use these to promote the event in your congregation. As many of you may recall from last year’s Fall Assembly, Delta Hands for Hope has begun work in Shaw, Mississippi. Jason Coker, a native of Shaw serving as pastor of Wilton Baptist Church in Wilton, Connecticut, along with CBF-Mississippi Coordinating Council member Cora Jackson and others from Shaw, formed Delta Hands for Hope, a non-profit organization dedicated to strengthening and enhancing local community assets related to education, spiritual development, health and recreation for school-aged children in Shaw and throughout the Mississippi Delta. Delta Hands for Hope partners with the Together for Hope Rural Poverty Initiative and CBF of Mississippi. Several churches from within Mississippi and from other states have either already visited Shaw to work with Delta Hands for Hope or have planned events for this summer. There is still time for your church to plan your own mission event. WHY: Bring a group from your church so that you can join hands with our partners at Delta Hands for Hope and in Shaw and begin to make plans to bring teams back from your church for mission trips, work weeks and other events throughout the year as you learn more about the needs Shaw has and the assets you and your church can offer to assist with those needs. Michael Roe & Chris Taylor, "The Tour"
Join CBF hosts Devita Parnell and Harry Rowland and presenters Stephen Reeves and David Gushee to learn about CBF's new advocacy efforts and strategies. Stephen Reeves is CBF's new associate coordinator of partnerships and advocacy. Read more. David Gushee joins CBF in 2014 as theologian-in-residence to help CBF think about theological and ethical issues related to advocacy work. Read more. For more information, contact Devita Parnell. ChurchWorks! creates space for renewal in ministry through practices of creativity, community and worship. To teach the people of God, educators need a place to learn, reflect and laugh together. ChurchWorks! is for practitioners of education and spiritual formation in the congregational setting. For more information, visit the Churchworks webpage. Early Bird: $260 for a shared room, all fees and most meals included. $360 for a single room. After October 1: $285 for a shared room, $385 for a single. After November 1: $310 for a shared room, $410 for a single. Worship Leader: Eric Mathis Eric is Assistant Professor of Church Music and Worship Leadership at Samford University in Birmingham, Alabama. He has recently been named program director of anima: the Forum for Worship and the Arts. Schedule: Come to the mountains to relax, learn, practice spiritual disciplines, and interact with fellow CBF youth workers in a confidential and intimate setting. We will begin with dinner on Tuesday, and conclude by 11 am on Friday. For an additional cost, participants are invited to extend their stay through the weekend, to enjoy time in the North Carolina mountains.